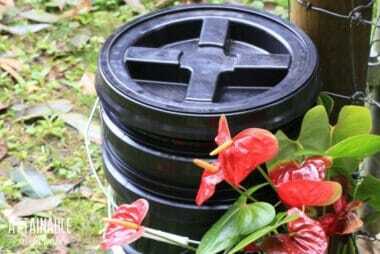 Want to try something new this gardening season? 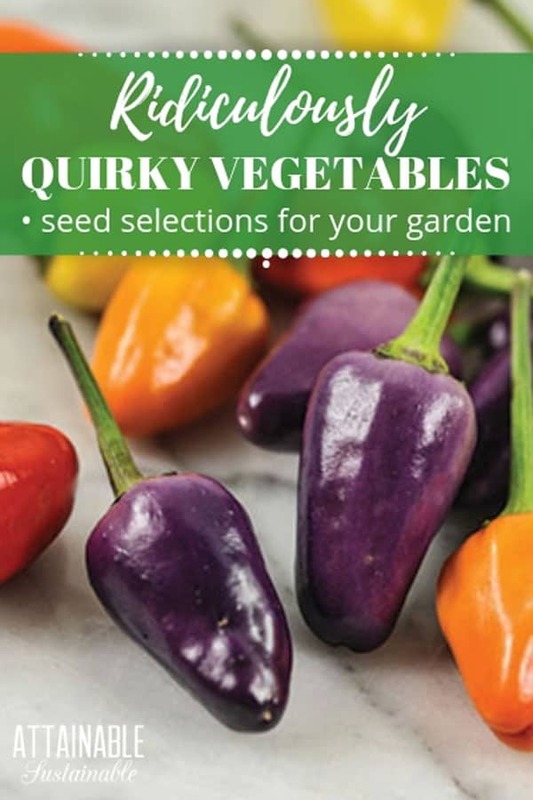 These quirky and exotic vegetables are heirlooms that will add a bit of fabulous to your garden beds! Some people collect charms. Some people collect comic books. I collect seeds. And seeds from heirloom vegetables are my weak spot. Whether I need them or not, I can’t seem to stop myself. Sure, I already have 18 different varieties of tomato seeds, a dozen types of pepper seeds, and seeds for something called a “rat’s tail radish” in my refrigerator — and a finite amount of space in which to plant them. But when my favorite seed catalog appears every year,how can I pass up the chance to grow vegetables with names like “jaune dickfleischige” (cucumber), “lipstick” (pepper), “Ukranian beauty” (eggplant), or “Ruby Wallace’s old time white” (cucumber)? 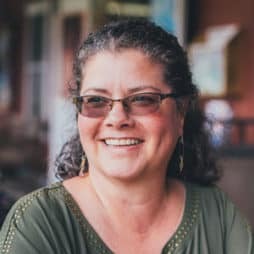 These are all heirloom exotic vegetable varieties that are available thanks to the diligence of passionate seed collectors from all over the world. Seed companies that specialize in heirloom vegetable seeds offer primarily open pollinated seeds – allowing growers to collect seeds for future planting – rather than the hybrid seeds more commonly found in nursery centers. 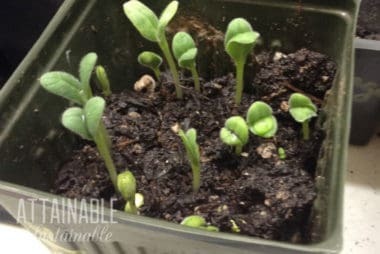 Interest in heirloom vegetable seeds has surged in recent years due to concerns over genetically modified seeds. Whether you’re a new to gardening or have years of experience under your belt, these exotic vegetables offer us all a chance to grow some really unusual specimens. Eat your greens, mom said. I hate lettuce, you said. 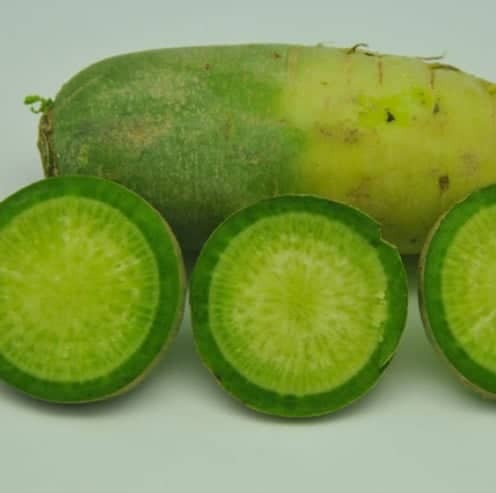 Now you can nosh on Chinese green radishes and technically do as mom says. 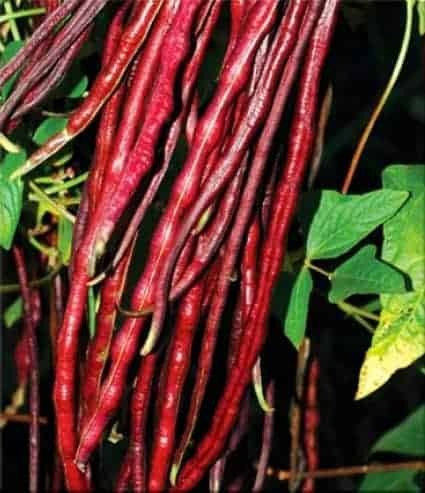 Upsize your beans with the 18″ long pods of the Chinese red noodle bean. 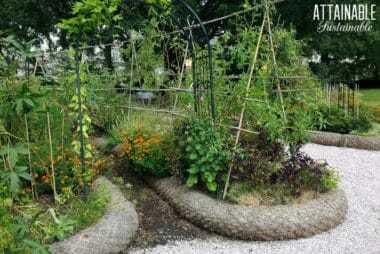 These exotic vegetables grow prolifically and outshine regular sized green beans. The reisetomate is one interesting looking tomato with small tomato nodules all fused together. 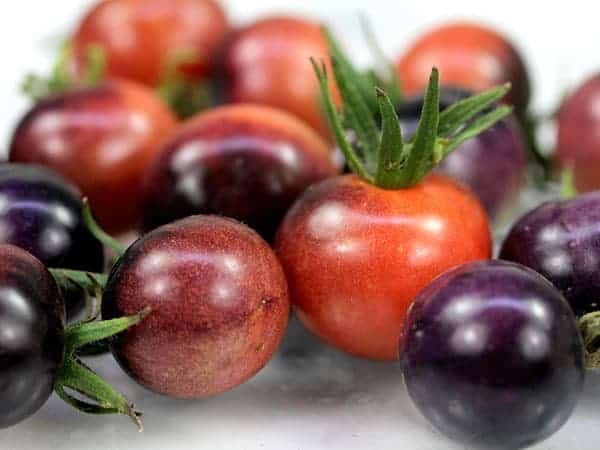 The blue berries tomato developed by Brad Gates bring a whole new color to the tomato bed. And here’s one called black beauty. 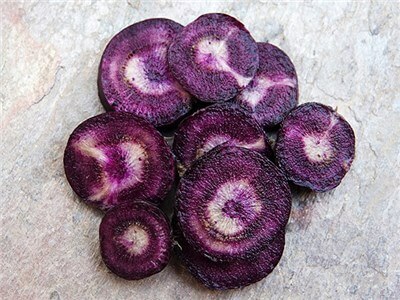 This black nebula carrot will take your fresh veggie noshing to new levels. 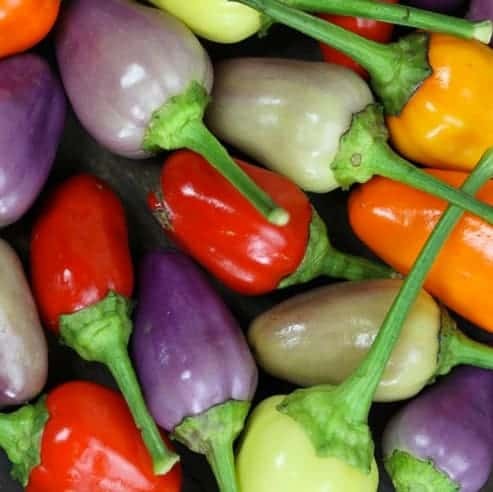 The Chinese five color pepper produces all those colors come from one plant! Don’t let the name fool you. 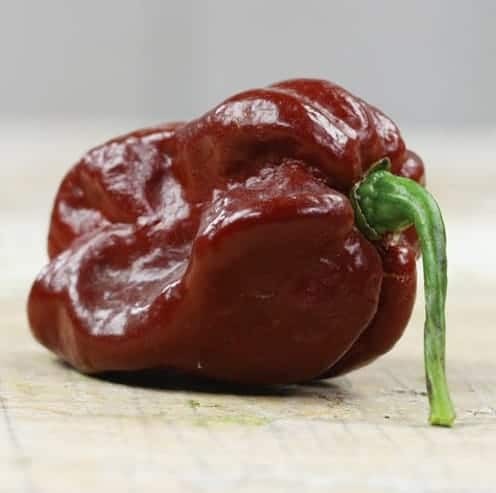 This chocolate habanero pepper is hot, hot, hot. You’ve seen purple eggplant, but yellow? The Thai yellow eggplant has small fruit that works both as dinner and as a table decoration. One of my favorite tomatoes ever is green zebra. 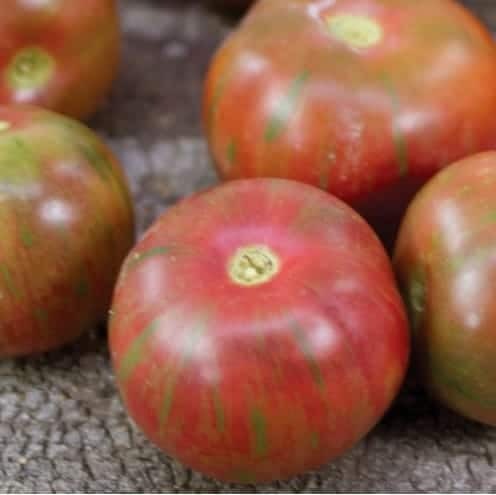 Black vernissage, a pinkish tomato, striped with green, is catching my eye this season. 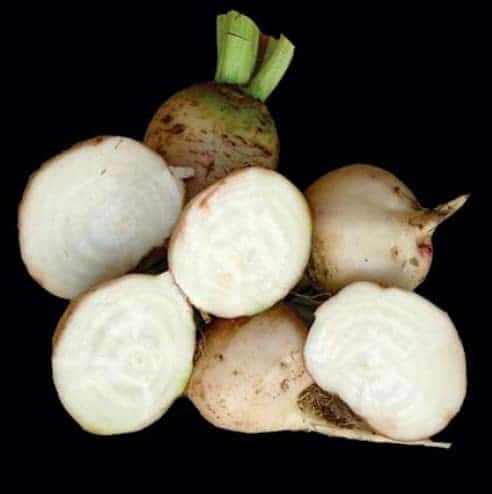 The albino beet is pure white, offering everything that you love about a beet – except for the stained fingers. 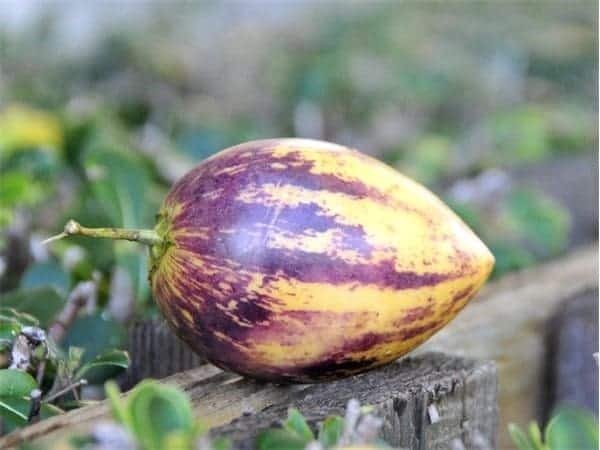 This Pepino Melon is part of the Solanum family. 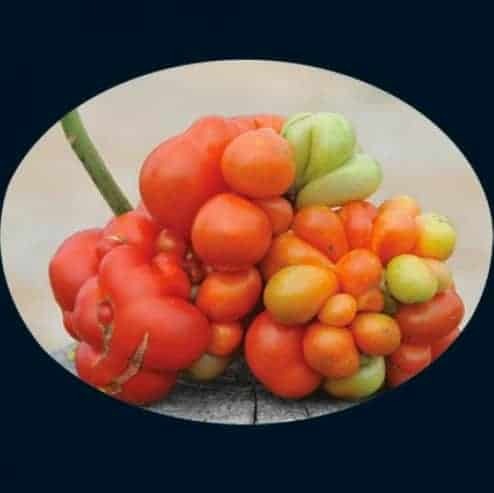 Photos of these exotic vegetables courtesy of Baker Creek Heirloom Seeds and used with permission. I am such a fan of heirlooms. That is all we plant in our gardens. Nice list! I have a whole 2 big boxes of seeds and I love finding new things to grow. The black vernissage tomato is delicious I grew it last year. Very prolific and they keep pretty well too. It is a subscription to a seed of the month. 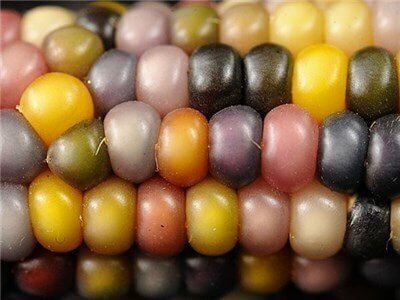 All heirloom seeds and you get an interesting variety and it is inexpensive . Some new ones I received were fava beans, anise, and many others. A little treat in the mail every month.